At about 30' Wide and 40' Long, this thing is HUGE! 1200 square feet of obstacles, crawl throughs, climbs, and slides. 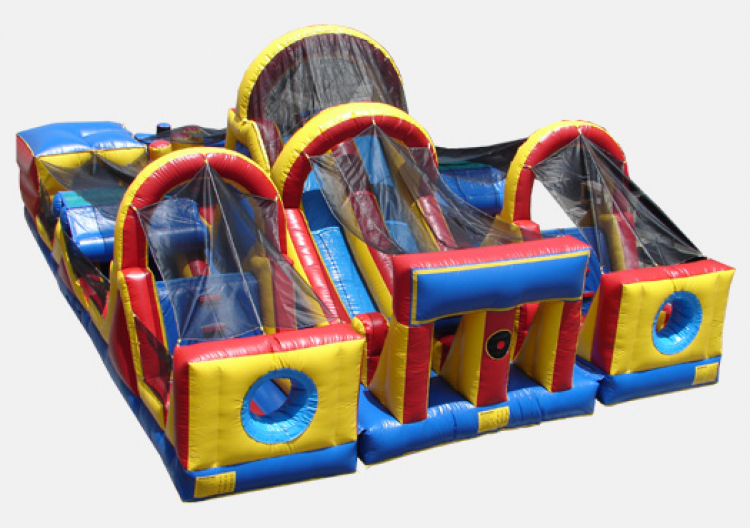 This monster inflatable is actually three pieces hooked together into one giant, competitive course and it can definitely be the whole party -- even for adults. 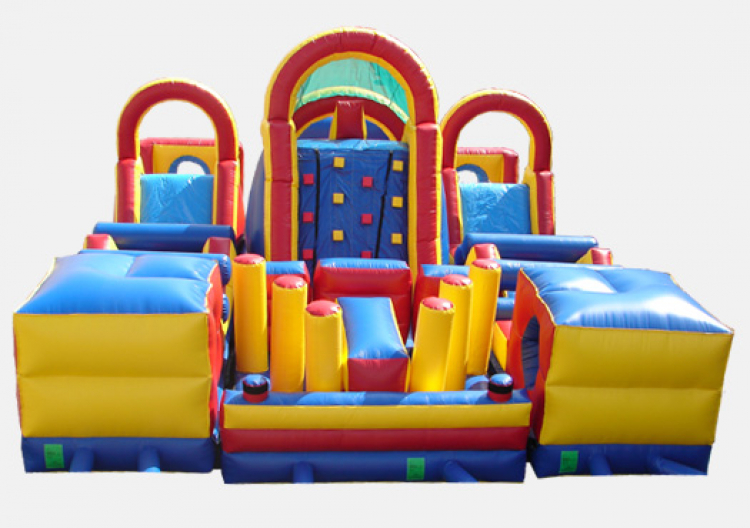 It is great for company parties, where everyone enjoys a little competition. Participants of all ages can enjoy both races and time trials. Will YOU be the fastest? From $275 to $550 per day. Fun for all ages, but especially good for teens and adults.